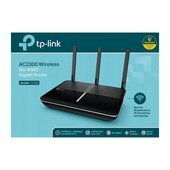 Enhance your network with the Archer C2300 Wireless-AC2300 Dual-Band Gigabit Router from TP-Link. 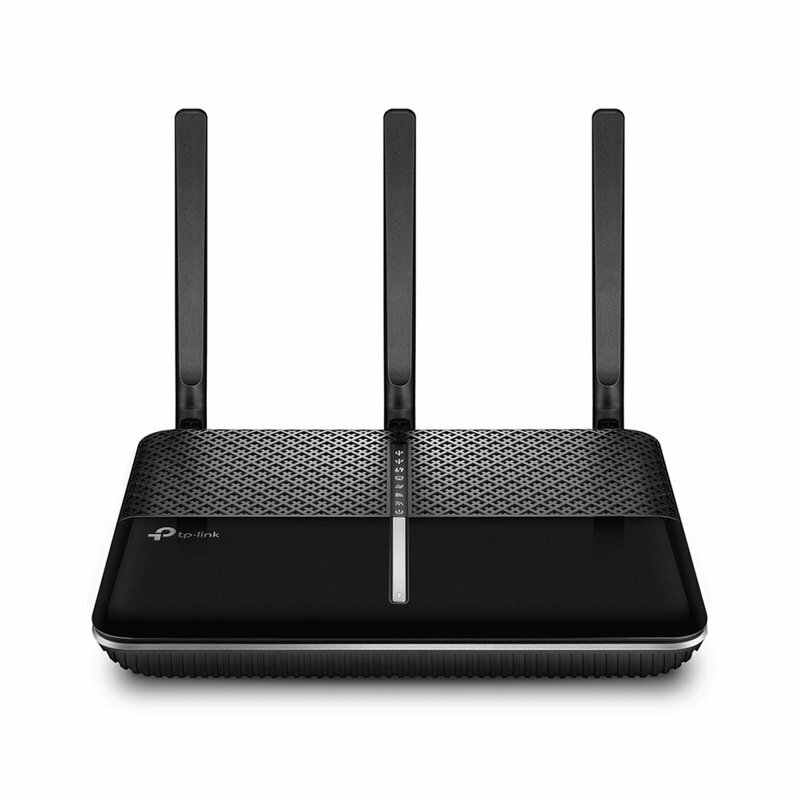 With this router you benefit from enhanced wireless connectivity thanks to the three dual-band antennas supporting MU-MIMO technology offering 3x3 connectivity. In addition to the antenna array, users also benefit from Range Boost technology which helps expand coverage to hard-to-reach areas of your home or office. 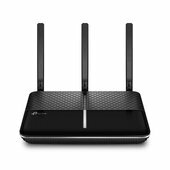 Once configured, the Archer C2300 supports the 802.11ac Wi-Fi network standard and operates on both the 2.4 GHz and 5 GHz frequencies with data transfer rates of up to 2300 Mbps. For a wired alternative, users can connect Ethernet enabled devices to any of the four Gigabit Ethernet ports. Additionally, dual USB ports allow USB enabled peripherals to be connected to the network making devices such as USB hard drives accessible throughout the network. The Archer C2300 offers a wealth of network features designed to further enhance your network experience. You can manage various aspects of your network using the intuitive web user interface along with the ability to power the Wi-Fi signal and the router on or off when needed. You can also secure your network with access control, guest network access, parental controls, and WPA/WPA2 encryption.